In this stimulating and still-timely study, Josef Pieper takes up a theme of paramount importance to his thinking - that festivals belong by rights among the great topics of philosophical discussion. 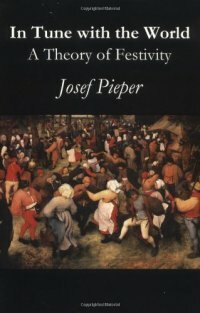 Pieper exposes the pseudo-festivals, in their harmless and their sinister forms; traditional feasts contaminated by commercialism; artificial holidays created in the interest of merchandisers; holidays by coercion, decreed by dictators the world over; festivals as military demonstrations; holidays empty of significance. And lastly we are given the apocalyptic vision of a nihilistic world which would seek its release not in festivities but in destruction.